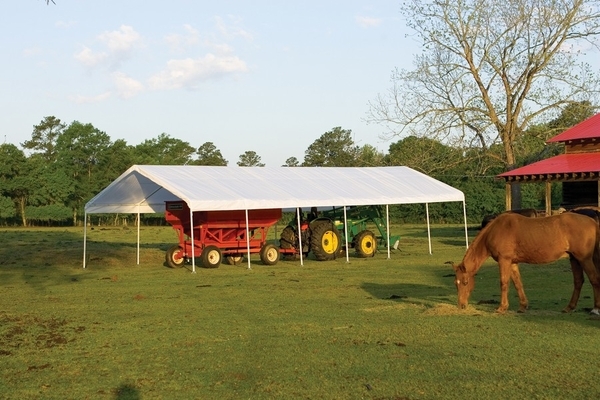 What a super shelter this 18-ft. by 40-ft. canopy is, not only is size but in quality. Commercial grade 14-leg tent shelter is strong because of the sturdy beam welded 2-inch diameter steel frame which is tested to withstand rigorous weather conditions. 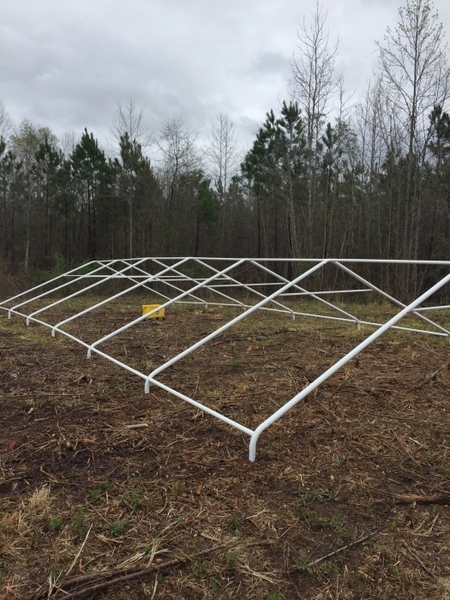 The high-grade steel frame goes through 13-step Rhino Shield surface preparatory process. Powder-coating on the frame eliminates any rust, weathering, chipping and peeling for a long-lasting finish. Easy-slide clamps tighten to square up, smooth out, and lock down the shelter. 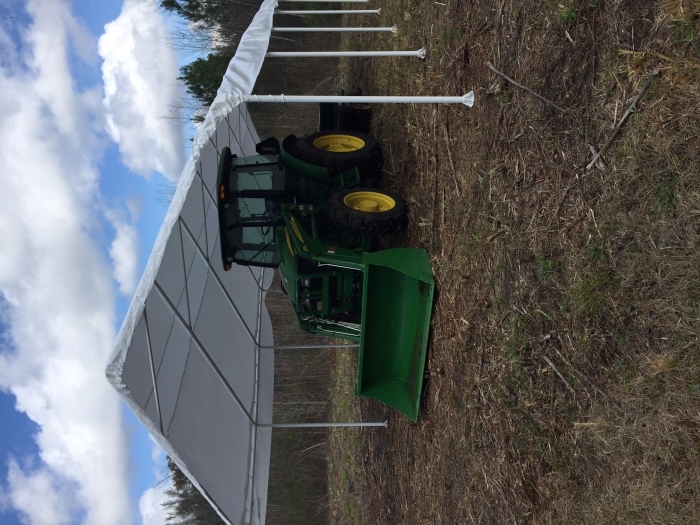 The cover itself is a fitted one piece full-valance cover that is heat-bonded, triple layered, and made of polyethylene with enhanced weave. It is 100% waterproof and UV-treated inside and out with added fade blockers, anti-aging, anti-fungal agents. What is the shipping weight on the 18x40 super max? The published shipping weight is 477 pounds. What is the guage of the metal used? Is there an actual wind rating? 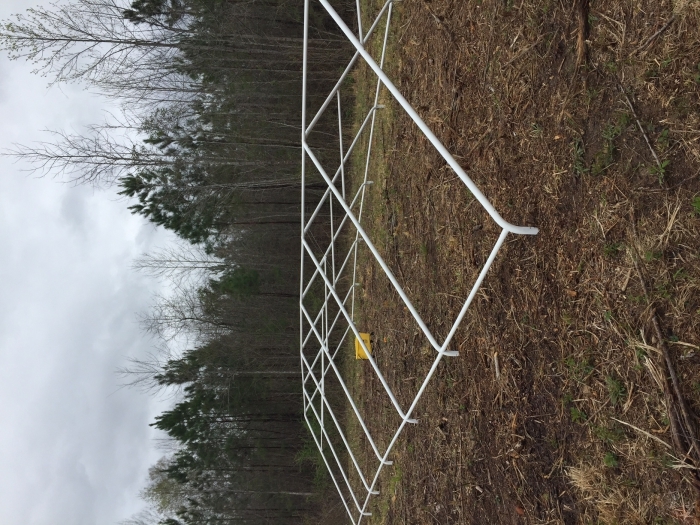 This unit is not wind rated and the gauge of the steel used is not available from the manufacturer. Are there connection poles to make it higher? Unfortunately, we do not offer leg extensions for this unit. 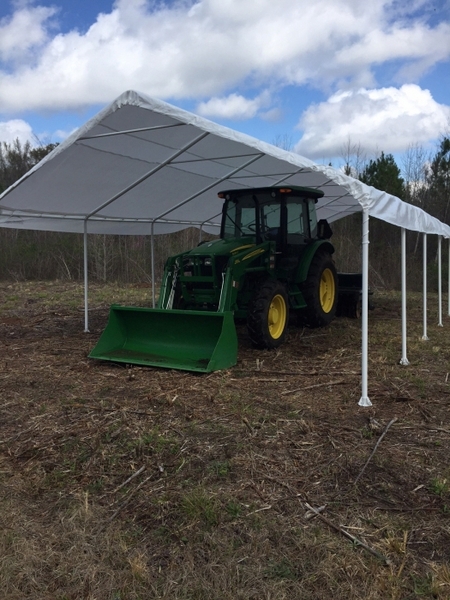 This is an extremely durable canopy, with a mil thickness of 13. It also comes with a one year manufacturer's warranty. Can the height be changed to 14'? The height is not adjustable on this unit. What is the outside diameter of the legs? The outer leg diameter is 2 inches. What mil or ounce is this? This products cover is 13 mil. 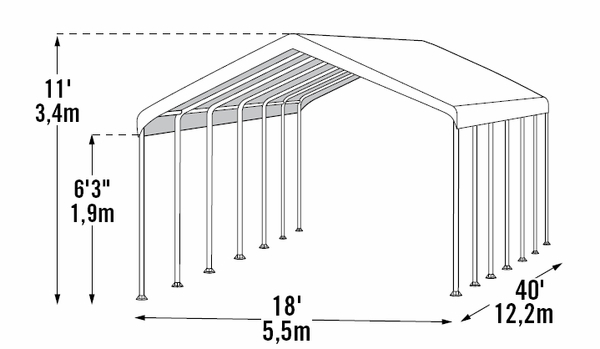 I purchased this canopy to provide shade in a patio at the church that I work for. The members love how much shade it provides and the quality of the structure. Quick up and down for portable use. We own two of these units. We set them up for events and parties. Key to successful assembly is to lay it out and have helpers WAIT till layout is complete before starting to assemble. We use a four person team and it takes them 45 minutes to complete the job. Which includes setting up tables and chairs. We have had one for 6 years and are pleased with the life of product. Proper storage and care taking it down helps. I do agree that wind is a problem so we immediately release the canopy if a storm heads our way, which can be often in South Florida. I would and have recommended this product to others. Time will tell on this one. Met the initial need to get equipment out of the weather but long term durability seems to be unknown. Plan to do something to anchor in addition to what is included in the box. Overall satisfied but unsure what type service to expect out of it. Purchase knowing it is the best solution for the price, but the price includes trade offs in quality. The amount of shade provided by this patio is worth the price of the product. I used it for my 20x30 patio. The first time we went to set up our canopy, we realized that it was poorly packed. The fact that it was packed poorly led to the discovery of many holes throughout the top. After a long debate with customer service, we were able to get the canopy replaced. 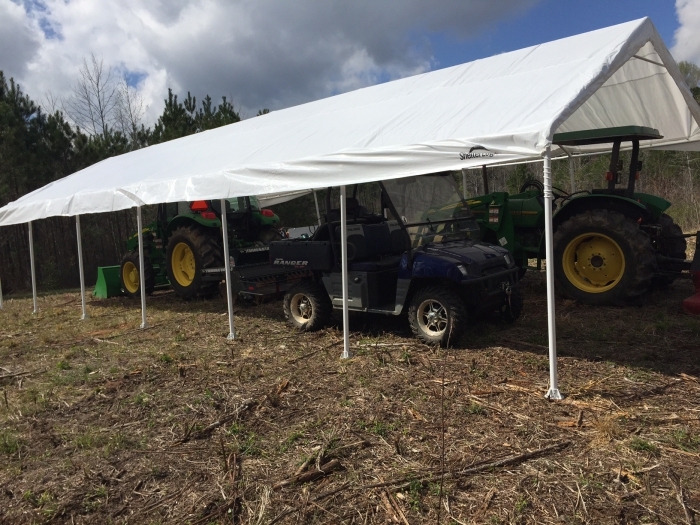 Despite the battle with customer service, the quality of the canopy was satisfactory.